My beautiful granddaughter, Annabelle has been extremely sick for over a week. Yesterday she broke out into a rash covering her entire body including her scalp. She was sent from Children’s Healthcare of Atlanta to Scottish Rite and was admitted for dehydration. 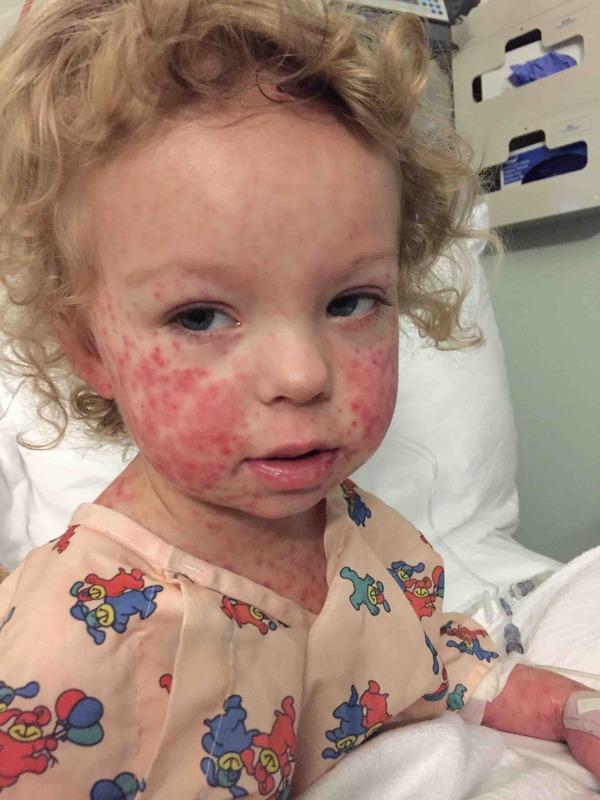 Today the Infectious Disease doctors were called in and this evening she was diagnosed with Stevens-Johnson syndrome. The process of her healing will be quite lengthy. Her skin is covered in blisters, this will get much worse before getting better. She will likely lose all of the skin on her body and her eyes are on fire. They are giving her morphine to help with the tremendous amount of pain that she’s in. Tomorrow they have all specialties coming in as this will require an entire team of doctors to monitor her. Hospitalization could be weeks to months. Let’s all ANTE up for Annabelle to help her parents in this huge time of need.